This is an extremely important letter, so please be sure to read it in its entirety. Our greatest historical empires have failed. Their failure was not the result of poor war strategies, nor the result of a failed leader. Their failure was ambition: the mentality that one empire could rule all. The Coming Death of an Empire? When one empire falls, another takes its place. This is not conjecture, but the facts of history. Our world has come to a crossroad where the power of our current leading empire is severely being threatened by other rising empires. The path it chooses will determine the fate of our lives. Over the past few years, I urged you not to take the power shift from the West to East lightly. I can’t be sure of the consequences, but I am sure that no empire maintains its rule forever. I am not the only one who feels this way. What do you think? Is the United States losing its power? Last week, the United States received a very bad omen: prominent western nations have decided to join China. I’ll explain more in a bit. “…Five of the biggest major emerging national economies, Brazil, Russia, India, China, and South Africa (BRICS) signed a long-anticipated document to create a $100 billion BRICS Development Bank, with headquarters in Shanghai. The institution will counter the influence of Western lending firms as well as the dollar, and give way for developing economies to grow without being forced into unfair terms from Western lending firms. The creation of this bank is not only a direct threat to the dollar, but also a direct threat to the United States and its control over emerging economies. Recall the Bretton Woods summit in 1944 that became the basis for the modern system of central banking and foreign exchange as well as the creation of both the World Bank and the IMF. Their creation gave Western powers control of the world through loans to nations that simply could not afford to pay them. In the end, many of these nations are forced to privatize state-owned assets in order to fulfill their debt obligations. In other words, it’s a politically correct way to seize the assets of a country and hand them over to corporations and bankers for profit. …The development of the BRICS Development Bank gives poor developing nations (may I add resource rich) the option to potentially receive better lending terms. In addition, these nations no longer have to rely on the harsh lending terms from Western banks. The BRICS development bank – now called the New Development Bank (NDB), headquartered in China, is an equal partnership amongst the BRICS nations. The bank makes sense, but it will still be no match for the IMF or the World Bank. Both the IMF and World Bank, the world’s largest public lenders, are led by the United States – a nation that controls 16.34% and 16.75% of the banks’ voting power, respectively. That means every loan, and every action, by the two biggest public world lenders, must be approved by the United States. Furthermore, in both organizations, the United States is the only country with veto power – that’s short for the ability to do whatever it wants. Members of the IMF have fought against the veto power of the United States for many years, but with no success. In November 2010, the IMF agreed on wide-ranging governance reforms to reflect the increasing importance of emerging market countries, which included a big change in the amount of financial injection. A month later, this reform was approved. Yet, nearly five years later, nothing has happened. Every country in the IMF has a quota. This quota represents the amount of maximum financial commitment to the IMF, its voting power, and has a bearing on its access to IMF financing. The higher a nation’s quota, the more influence it has on the IMF. preserve the quota and voting share of the poorest member countries. This group of countries is defined as those eligible for the low-income Poverty Reduction and Growth Trust (PRGT) and whose per capita income fell below US$1,135 in 2008 (the threshold set by the International Development Association) or twice that amount for small countries. *Special Drawing Rights – The SDR is an international reserve asset, created by the IMF in 1969 to supplement its member countries’ official reserves. Its value is based on a basket of four key international currencies (currently the U.S. dollar, Euro, Japanese Yen, and the British pound), and SDRs can be exchanged for freely usable currencies. Now for the quota increases under the 14th General Review of Quotas to become effective, the entry into force of the proposed amendment to reform the Executive Board is required, as well as the consent to the quota increase by members having not less than 70 percent of total quotas (as of November 5, 2010). As of March 4, 2015, 163 members having 80.17 percent of total quota had consented. That means that the majority of nations approve the new quota increase. Yet, the quota hasn’t changed.Why? Because, as mentioned above, the quota increase is still dependent on the approval to reform the Executive Board. In order for the proposed amendment on reform of the Executive Board to enter into force, acceptance by three-fifths of the Fund’s 188 members (or 113 members) having 85 percent of the Fund’s total voting power is required. As of January 27, 2015, 146 members having 77.07 percent of total voting power had accepted the amendment. There’s only one country that can change that: the United States of America. As I mentioned earlier, the US has just over 16% of the voting power at the IMF. If the remaining 7% of the votes accept the amendment, that still leaves us with only 84% – 1% shy of the required 85%. That’s the power of the US. Now the question is: why would the US not want to accept this reform? What do you think will happen if the US accepts the reform? As mentioned, the 2010 reform would double the amount of permanent funding available to the IMF, and potentially reduce the US voting share below the 15 percent it needs to block major decisions. In other words, the US will lose its veto power in the IMF, while China will dramatically gain more power. It’s been five years since the 2010 proposal was put forth, and the next review is already coming up. The United States has still not ratified the reform. The majority of the IMF members aren’t happy. “IMF Managing Director Christine Lagarde had said she would give Congress until the end of last year (2014) before asking fund staff members to present alternatives. But instead of making changes to the IMF, they went one step further: they’ve retaliated in one of the most direct slap-in-the-face ways possible. Along with the creation of the New Development Bank, China has also been busy creating its own international public lending institution to compete with the United States-dominated IMF, the World Bank, and the Japanese-led Asian Development Bank: The Asian Infrastructure Investment Bank (AIIB). Instead of trying to change IMF policies and procedures, which could take years and many headaches, prominent members of the IMF have decided to join China – a nation, under the 2010 reform, that would suppress the veto power of the United States in the IMF. “Ignoring direct pleas from the Obama administration, Europe’s biggest economies have declared their desire to become founding members of a new Chinese-led Asian investment bank that the United States views as a rival to the World Bank and other institutions set up at the height of American power after World War II. The announcement on Tuesday by Germany, France and Italy that they would follow Britain and join the Chinese-led venture delivered a stinging rebuke to Washington from some of its closest allies. Shortly after, again in direct defiance to the plea of the United States, another world economic power announced it could soon join China. “Australia said on Friday there was a lot of merit in the China-led Asian Infrastructure Investment Bank (AIIB) while Japan’s finance minister signaled cautious approval of the institution that the United States has warned against. … Australian Treasurer Joe Hockey said no final decision had been made on Australia’s involvement but the matter had been under careful consideration. “More than 30 countries have already signed up. This is going to operate in our region, in our neighbourhood,” he told a radio station in Brisbane. Whether or not Japan joins remains to be seen, especially given their poor relations with China. However, it is believed that both South Korea and Australia could join and could make their announcement next week. The United States’ lack of pace in the reform and governance of the IMF, World Bank, and Asian Development Bank, has now paved way for China to strike. As it stands, the Chinese will have nearly half of the voting power in the AIIB – which is more than the United States has in voting power in both the IMF and World Bank combined. Whether or not these new proposed members of China’s AIIB can come to proper terms with China on the bank’s reforms is not the point of focus here. The point of focus is that China is one big step closer in making its currency a rival to the dollar. The SDR, the main asset of the IMF, and can be exchanged for freely usable currencies. In other words, the asset is highly convertible and can be deployed for use all around the world. Participating nations must exchange their own currency to make their contribution to the IMF. That means the bigger the SDR becomes, the more widely spread the dollar, pound, euro, and yen become. China’s Renminbi (RMB) is not part of the SDR, but many IMF members – including Germany – are now supporting its inclusion. If this happens, China’s RMB could soon become a fully convertible currency, given the size of China’s reserves. But China isn’t holding its breath – and neither are many members of the IMF. Whatever it is, I bet it will include China’s RMB. That means participating nations in the AIIB may have to exchange their currencies for RMB to participate. That means China’s RMB will soon be even more wide spread. When you factor in everything I have been telling you about China’s aggressive currency swaps, the mass accumulation of gold by Russia and China, the repatriation of gold by Germany (who has been insistently supportive of China’s currency), the picture becomes extremely clear: China’s currency will soon become convertible. All of the events leading up to now have been a very carefully planned strategy by China, and its new Eastern and Western allies, to dethrone the US dollar. If more countries announce agreements to join the AIIB next week, look for the dollar to halt its climb and begin to back peddle. That could also mean gold might bounce higher from here. When a king’s rule is threatened, you can be sure that he will spare no expense in preventing his loss of power. This includes sacrificing its pawns, knights, and bishops. Be prepared to be sacrificed. An empire is being threatened. If you can’t see the picture, paste it into your browser. U.S. has tried to be everything to everybody for too long. Any disaster that occured would bring us running to aid the unfortunate. If we have a disaster, we’re on our own. Maybe this is a blessing in disguise. Shall we now thumb our nose to worldly problems and take care of US? I hate to sound isolationistic but, after all will we have a choice until we clean up our own house? Blame Bush, Obama or even F.D.R. for Bretton Woods, the American voters may have to display more basic intelligence than what we’ve seen on the popular “Jaywalking” by Jay Leno. We aren’t loosing power, we have already lost it. The only real power enjoyed by an empire is that which is given to it by it’s people. As long as there is trust and belief in the leadership, an empire can survive. Unfortunately those in power loose their honesty to ambition and greed and it is then only a matter of time until they actually turn on their own people. Throughout history it has always been the same. To maintain power, the money is debased to afford meaningless wars and conflict to distract the people from identifying their real enemy, their leaders and the banks that allow them to continue this perpetual theater that has always suppressed the people and prevented the world from finding peace and sustainable existence. This time the stakes are so high. Where do these mad men and women think they are going to go if they continue to pursue this aggressive desire to have a nuclear war? Obama has began transforming the US into a left leaning country. If the Republicans can win the 2016 elections and deliver on their promises than the US has a good chance to stop this advance before it takes hold. So I think there is a good chance for the US to continue as the beacon for the world! Alright, I’ll be expecting some gold stock picks sometime soon Ivan! Is America losing it’s pwoer? YES and thank God. Now that the US has abused and alienated the worlde it’s time for another power to have a kick at the can and maybe they will do better at maintaining some fairness and true justice on this planet we all share. How will all this affect Canada? Excellent synopsis of on going world events. The only people who can’t seem to see the forest for the trees is the average American citizen. 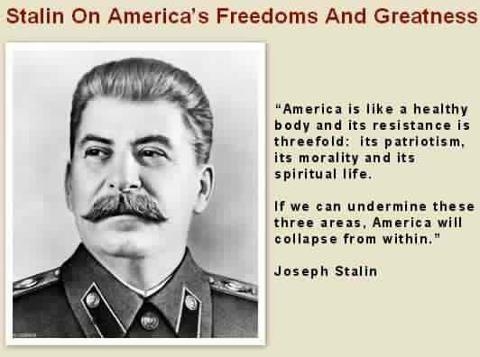 It is sad to see the demise of a great country such as the U.S. unfolding like a train wreck in slow motion, the ultimate crash can not be far off. Maybe gold will even return to its rightful place as the premier currency of the world, certainly no current fiat currency is positioned to replace the dollar which is a shadow of its former self having lost 97% of its purchasing power since its original definition of a specific weight of gold or silver. The Bible admonishes us to have “honest weight and measures” (in other words no cheating and mankind has violated every aspect of that in every way possible since time immemorial. Will we never learn and just keep electing corrupt leaders who promos benefits they are unable to deliver? Voters en-masse have apparently not yet learned the simple and basic truth that no government can give us anything that they do not first take away from someone else; and they themselves live off the avails of their prostitution to the banking cartel. I am still new to your newsletter so I am unclear if I am reading too much of your schadenfreude into your comments but…..
Of course changes are forthcoming. Some will be huge, some small. I wonder why every potential change, however, is being viewed as the end of the U.S. The advent of the AIIB and more useage of currencies other than the USD in International Trade will defiantly change the way we do business but you are making an unsubstantiated stretch to say it will be the end of this country. Your comments make the assumption that the United States is, or will be, incapable of “adapting” to coming changes to which I am in compete disagreement. Thank you! If we hadn’t become such an arrogant menace to the world in recent years, I would be unhappy. As it is, I will probably feel a sense of relief. My greatest worry is our causing a nuclear war as the Empire falls. I think that, under the circumstances, I better vote Republican next time around (the least of two evils), become a Catholic, pray a lot, and learn how to speak Chinese and Arabic. Between the loss of moral values in our former great Nation, current cost of living, the pencil of the IRS, loses in the stock market, corruption in Wall Street, etc, I am just about done. I have nothing else to lose. Americans are their own worst enemies (as in a ball game, the continued mistakes of the one team will determine the final score) May God Bless our children, and whatever is left of the awesome America I once knew. Have to keep thinking positive though. Sincerely and respectfully to all. -Thank you for your great Equedia Letter. For God’s sake it’s not the end of the world. Would you rather live in Russia, China, or any of the Arab countries? @Myron Martin.It’s not that good.Govt has to take a lot more in taxes than it outputs in benefits.I would estimate,that being generous,govt has to take a Dollar in taxes to output .50.So,govt is like a giant shredder and the larger the govt becomes,the poorer is the country. Very interesting and informative article, but at the end of the day, we have to ask if a rival development bank led by the Chinese would be any less rapacious than the IMF? As well, what can we as investors make of this information? Another great call this week on gold, Mr. Lo. Gold is has propped back up and looking to rally from here. Always looking forward to your letters, as they provide valuable insight on market movements and not just some technical gibberish. With the Chinese government’s recent announcement of their 1600+ tons of Gold held in physical reserve, one can easily see the methodical plodding and patience of a new world order taking place. An order bent on absolute control, where not simply global trade is affected but basic human rights, and what it is to be a free person tested in the laws of various nations, all being slowly undermined and with severe prejudice. This in an effort to creating a docile and compliant workforce, one globally controlled through Beijing. Make no mistake this is coming and very little can be done to slow it’s march, short of war.